Discover a pattern yet? The numbers we passed to you at the end of August remain exactly the same two weeks later. 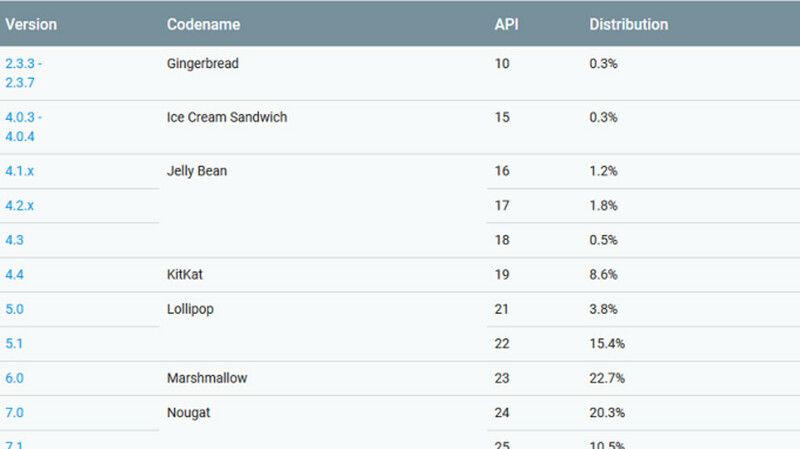 This includes 4.4% share earned by Android 4.4 KitKat, 3.5% of active Android devices running JellyBean (4.1.x-4.1.3) and .3% still using Ice Cream Sandwich (4.0.3- 4.0.4) and Gingerbread (2.3.3-2.37). This turns out that Google really did not have to release September distribution figures just two weeks after publishing the report in August.